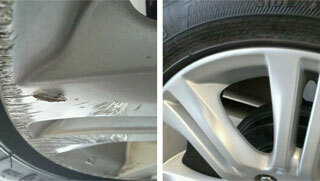 Stop by or contact us to see how we can help to make your car or truck look new again. We offer a variety of restoration services including dent repair, rim repair, upholstery reconditioning, odor removal, and much more. 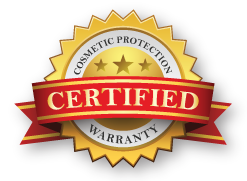 Warranty protection for cosmetic repairs to your vehicle. Coverage includes minor dent and ding repair, rim repair, headlight cleaning and restoration, windshield repair, and interior reconditioning (leather and upholstery). 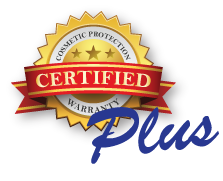 We also offer an annual extension of our popular 30 Day Certified Cosmetic Protection Program, with Certified Plus. Sleep well at night knowing the investment in your garage will stay cosmetically sound for years to come. View our portfolio for yourself! The experienced technicians at Secure It New are some of the best in their trade. Take a look at our portfolio of before and after shots and see for yourself! Got a testimonial about your experience with Secure It New, please share it with us on our Testimonials page.